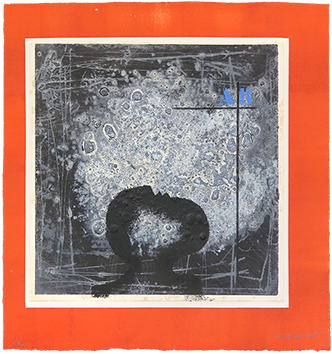 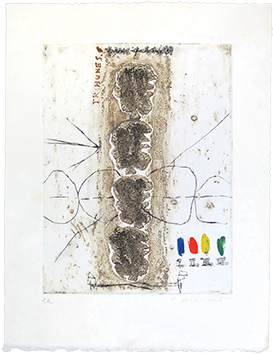 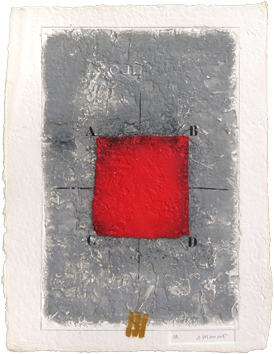 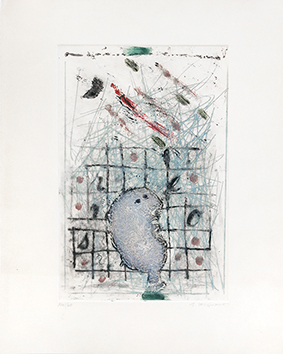 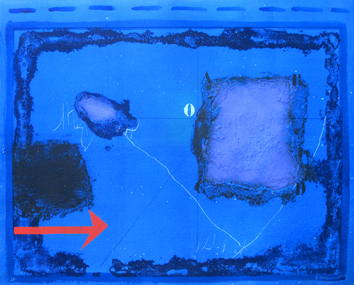 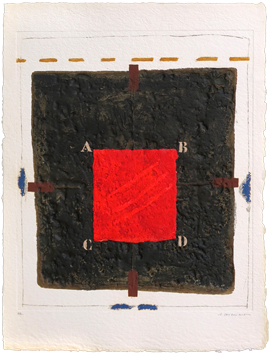 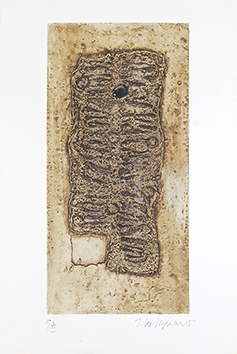 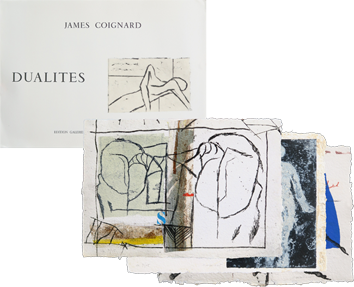 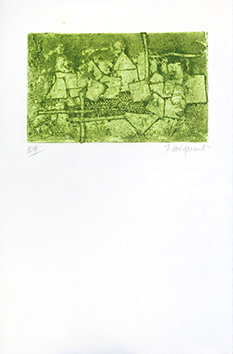 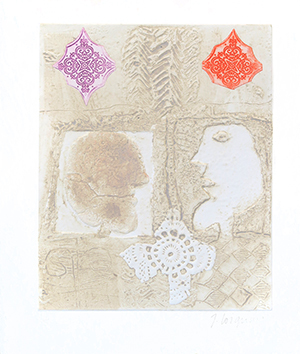 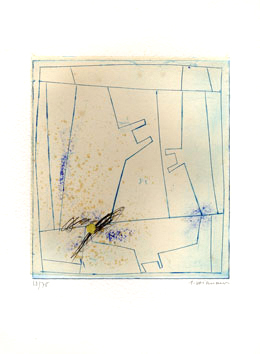 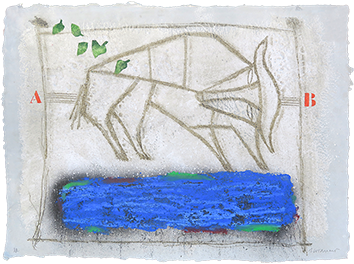 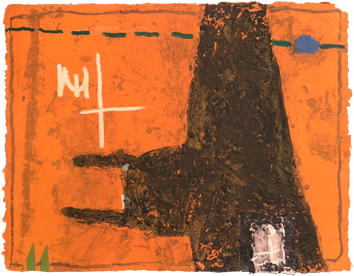 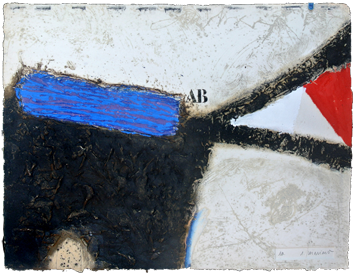 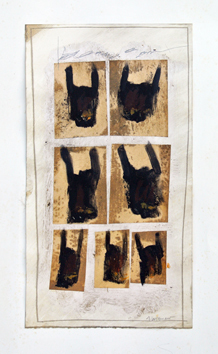 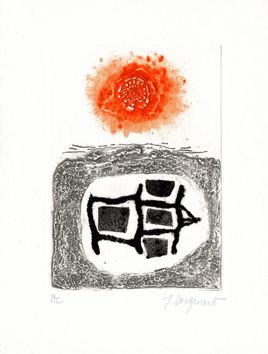 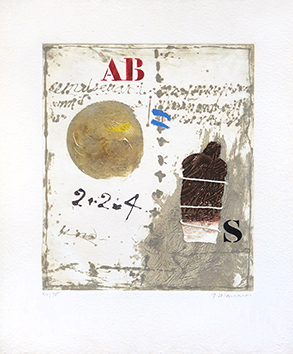 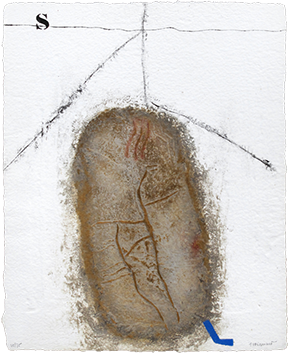 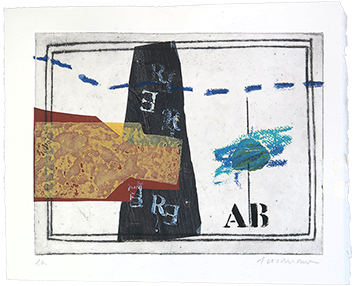 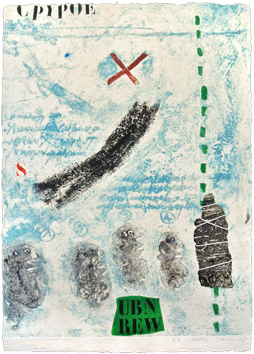 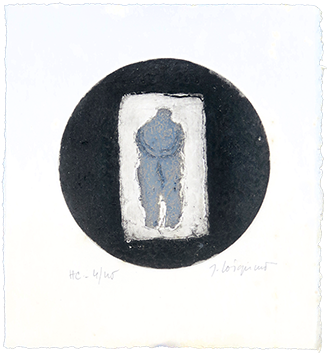 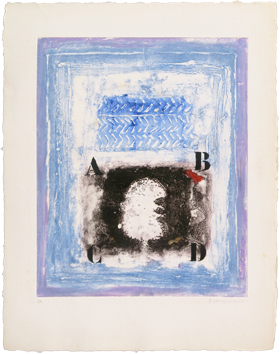 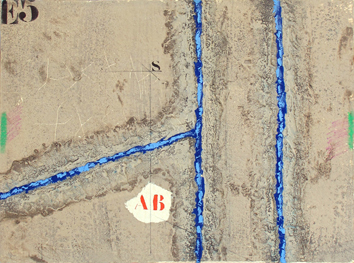 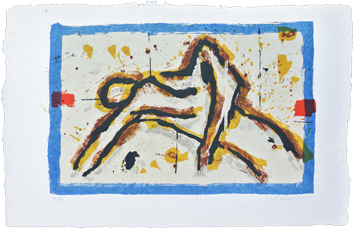 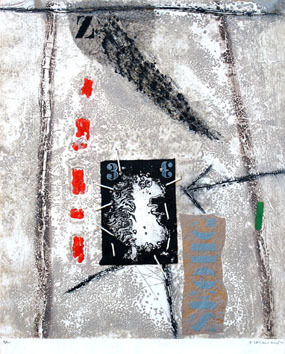 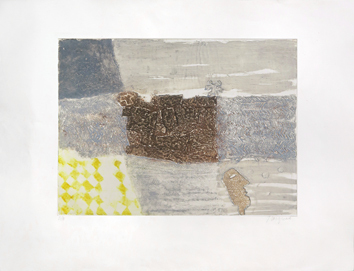 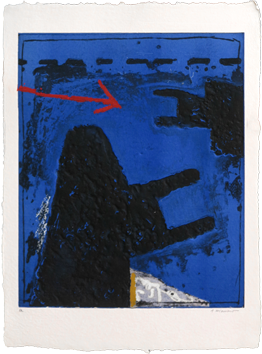 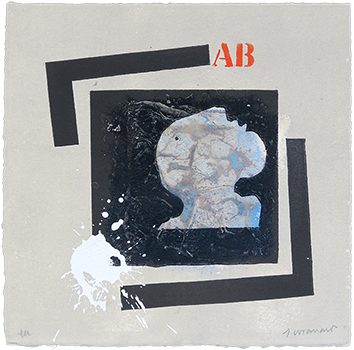 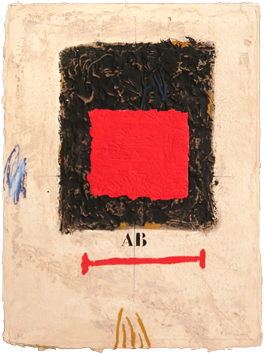 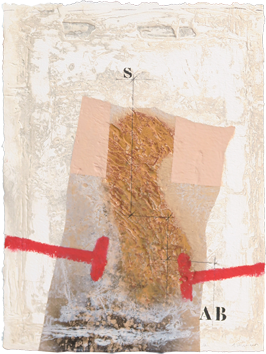 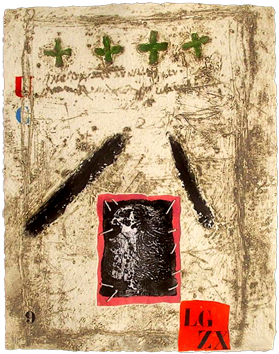 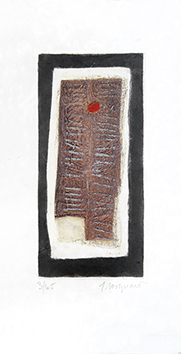 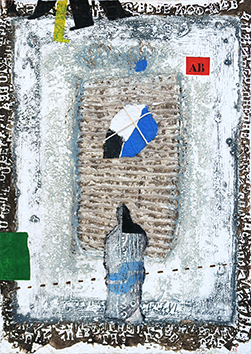 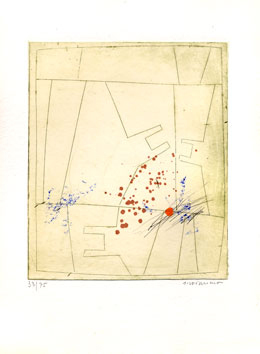 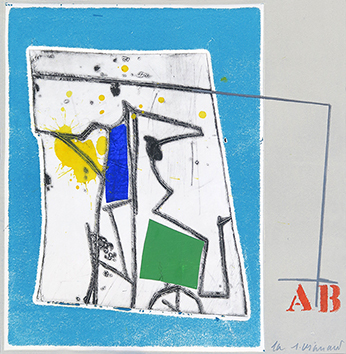 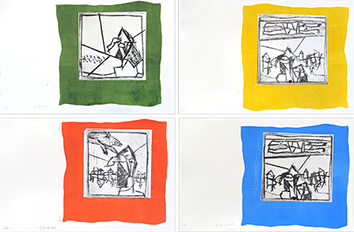 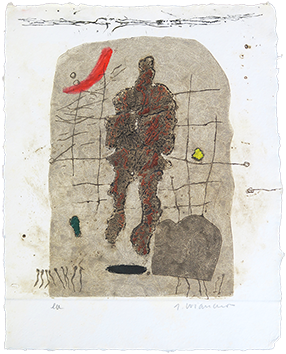 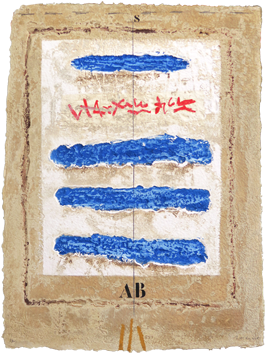 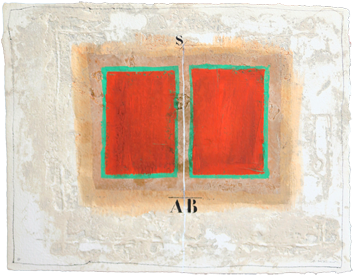 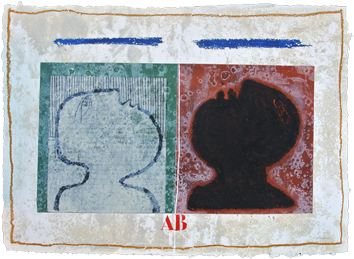 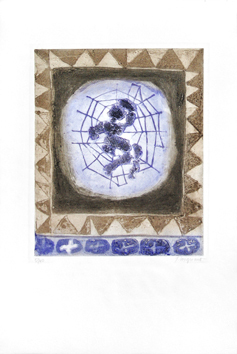 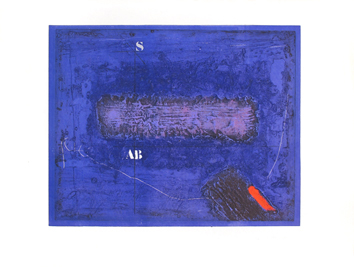 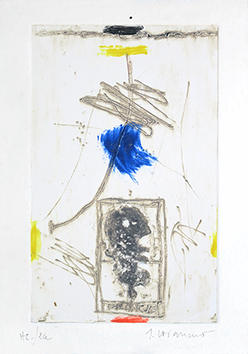 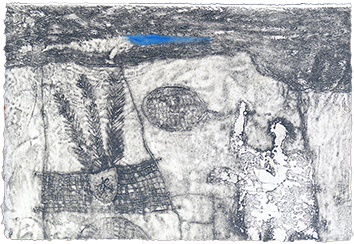 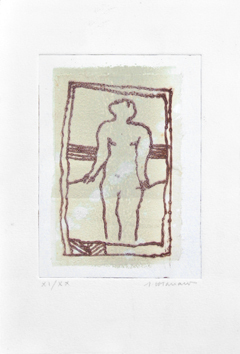 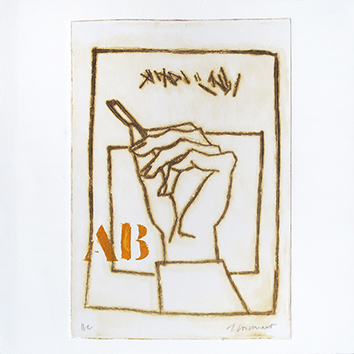 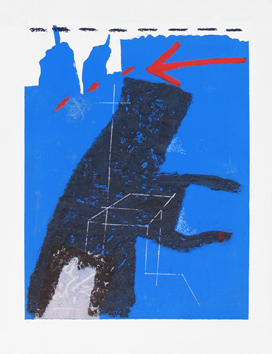 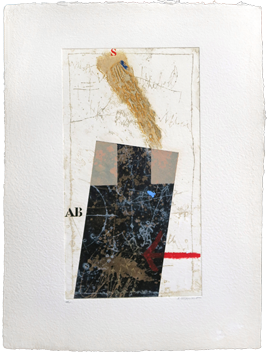 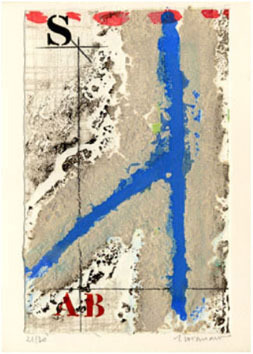 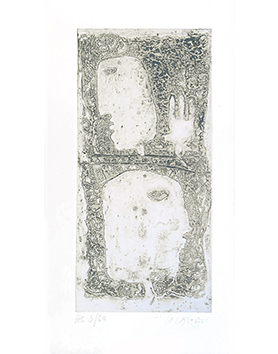 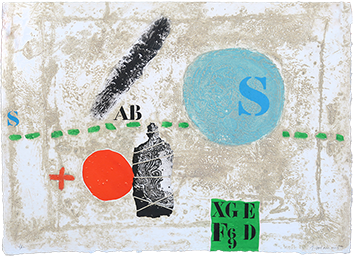 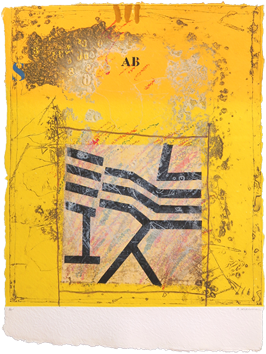 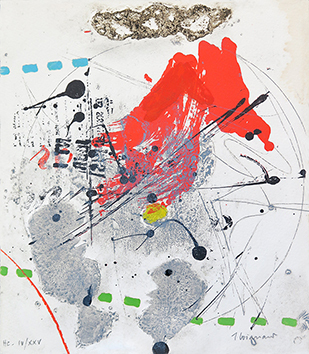 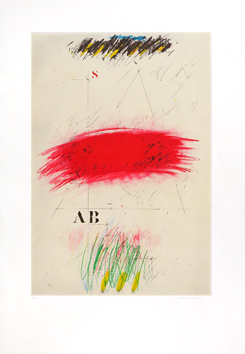 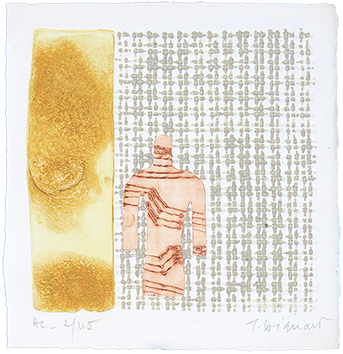 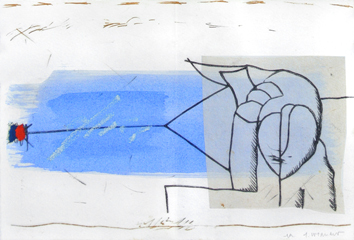 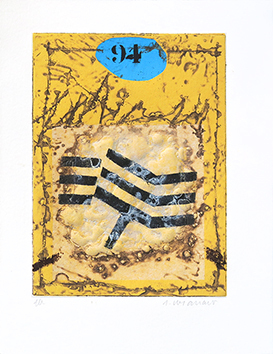 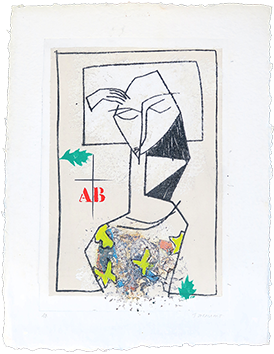 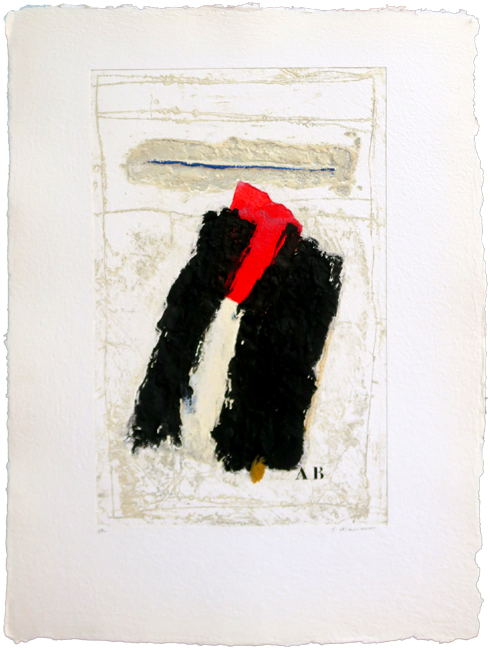 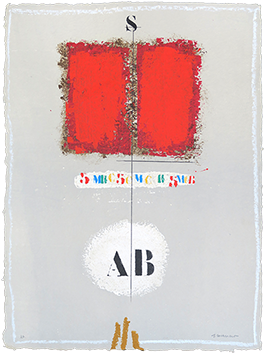 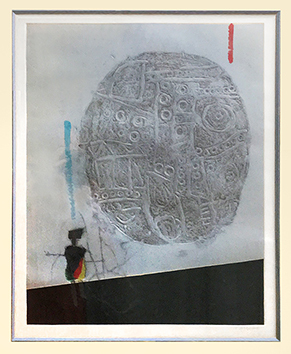 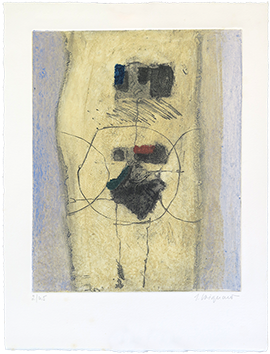 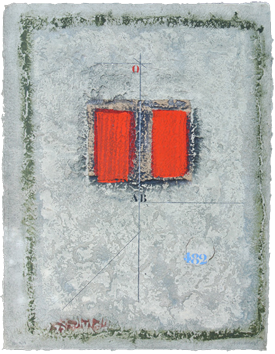 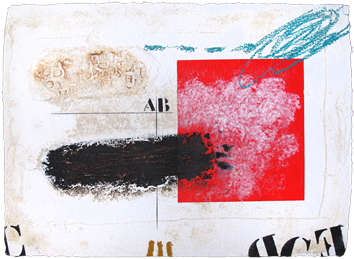 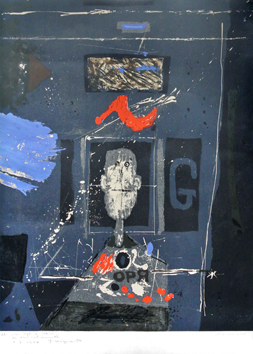 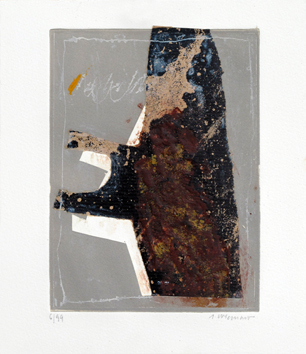 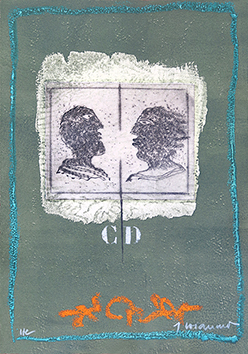 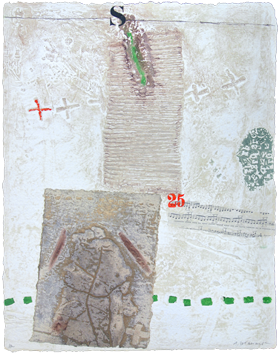 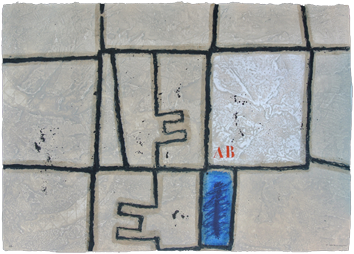 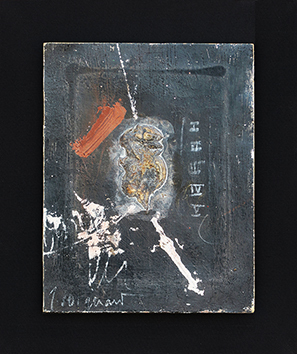 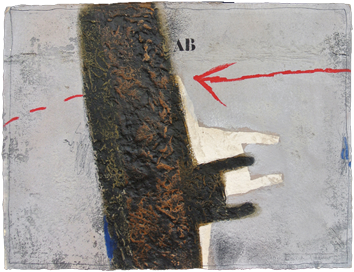 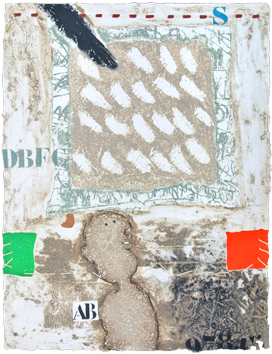 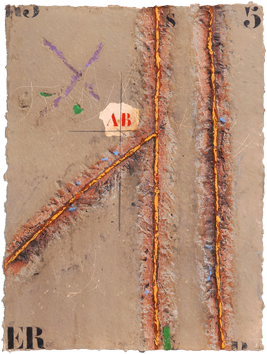 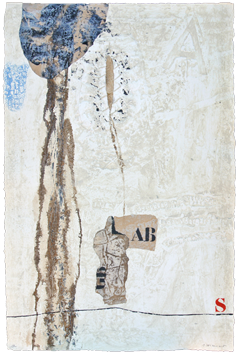 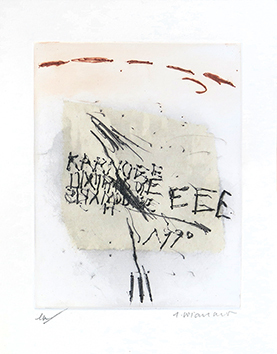 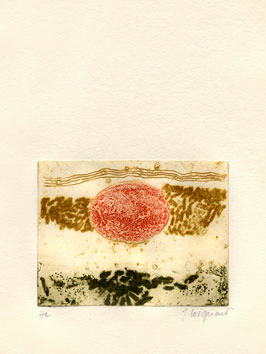 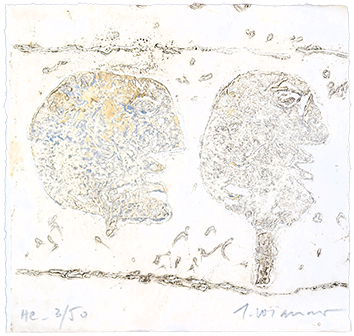 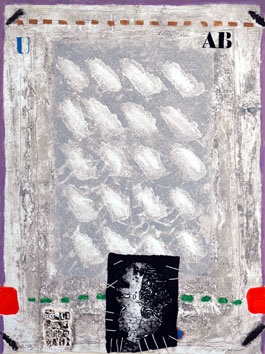 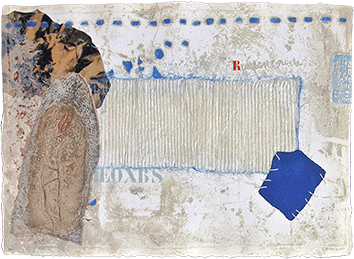 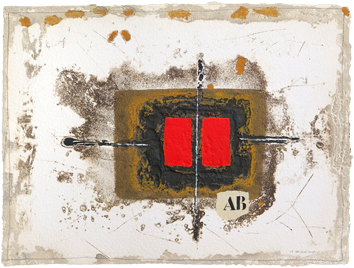 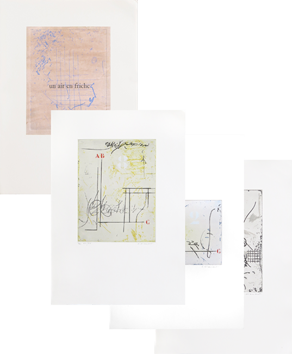 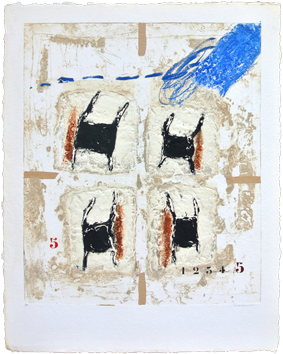 Original carborundum etching in 7 colours with manual interventions and two collages, signed in pencil by the artist. 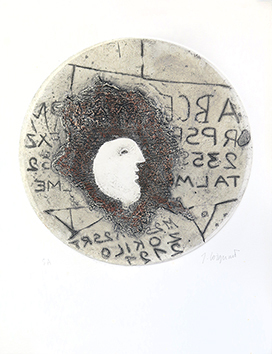 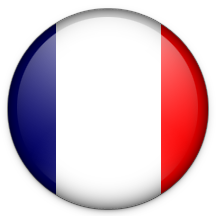 Pasnic Publisher, Paris. 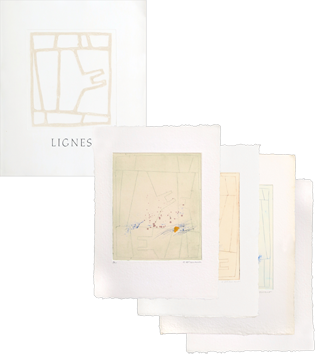 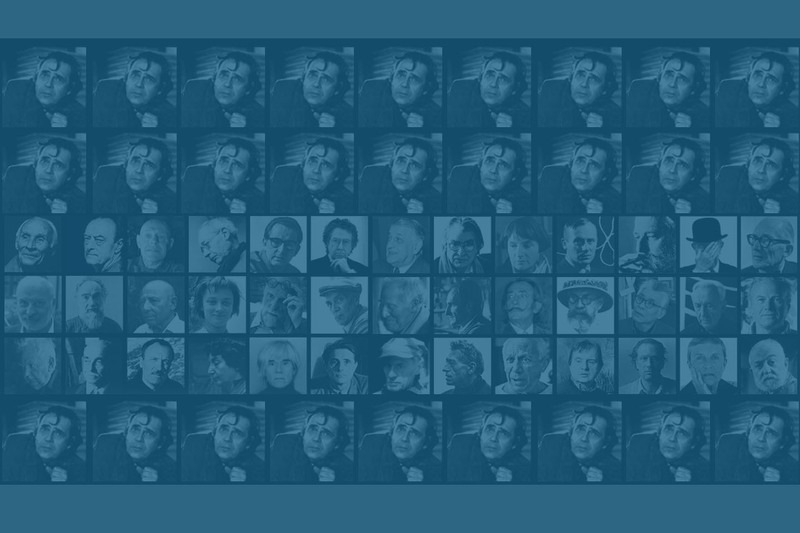 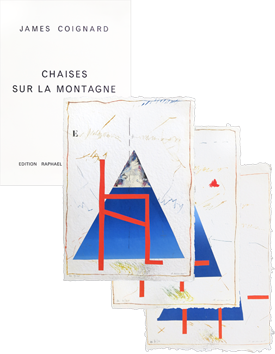 Edition : 50 signed proofs + 15 E.A.